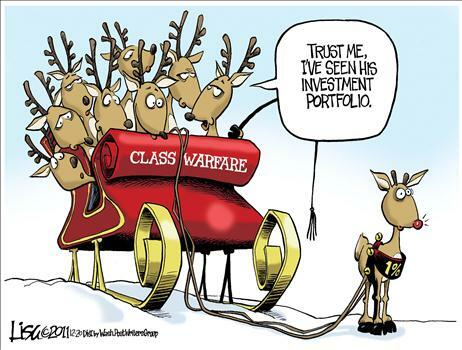 Yes, the Christmas season is over, but somebody just sent me this cartoon and it’s worth sharing because it captures the hate-and-envy mentality of the parasite class in Washington. And I probably like it because it is sort of similar to the riding-the-wagon-pulling-the-wagon cartoon drawn by a former Cato intern. And if you like cartoons about class warfare, click here and here for some amusing portrayals of Obama’s divisiveness.